Multi-Author Urban Fantasy Starter Library - FREE! Strap in and enjoy a rollicking ride through worlds of magic with six sizzling series starters from some of today’s hottest urban fantasy storytellers. After years of suppressing her inner wolf, Terra struggles to forget her old pack. But when her past finally comes calling, she has no choice but to reclaim the predator within. Seven years ago, werebeasts murdered Artemis's family and marked her as the mate of a monster. Now that monstrous mate has tracked her down and threatens to make her his own. A dark force is targeting a secret enclave of shapeshifters in the desert southwest, delivering them to grisly fates. 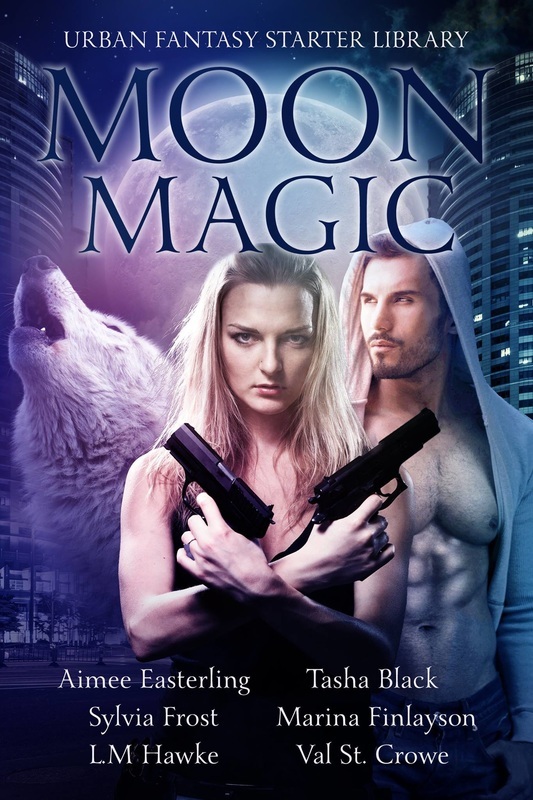 Suspected of witchery and cast out of her human society, it's up to Ellery Chee, a lone coyote shifter, to stop this dangerous magician before her world disappears into thin air. As she struggles to come to terms with her werewolf nature, Ainsley Connor is thrust into the center of a steamy web of shifters, ghosts, witches and warlocks, caught up in a life-or-death struggle for control of the pack she tried to leave behind. Since childhood, Garth has lived on the edges of the pack, the human stepson of the pack leader and an eternal outsider. He always dreamed of becoming a werewolf—until one day he got his wish. Born into an underground ruling class of witches, eighteen-year-old Olivia has always tried to steer clear of both magic and monsters. But a struggle for power and a handsome face combine to turn her life upside-down until suddenly she's knee deep in both.